The Houston and Gulf Coast region has faced a harrowing set of challenges over the past year, with Hurricane Harvey leaving much more than just physical damage in its wake. Indeed, many are still rebuilding their lives, not to mention dealing with the ongoing, day-to-day stresses and traumas suffered when that hurricane devastated their communities and lives. Such disasters can have lasting and harmful effects on the mental health of children, youth and adults, which is why the timing could not be better to focus needed resources to improve mental health access and quality in Harris County and the region. 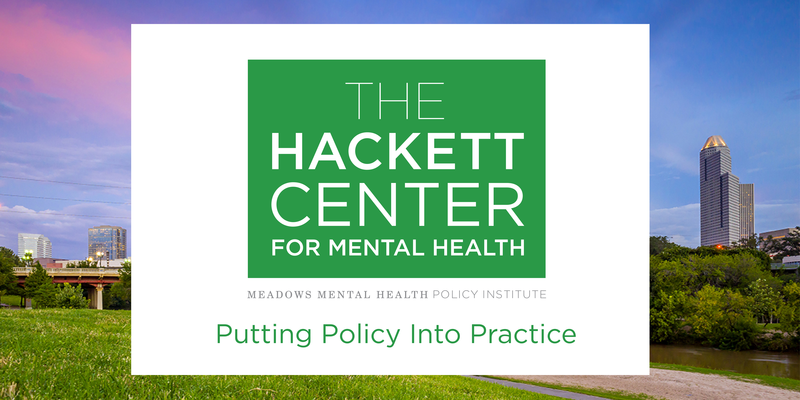 This month, the Meadows Mental Health Policy Institute will open The Hackett Center for Mental Health in Houston, a permanent operating program of the Institute. The Center’s initial primary focus will be on Hurricane Harvey recovery, with parallel emphases on other mental health challenges facing the region. Made possible by an extraordinary $20 million gift from Maureen and Jim Hackett, the Center is designed to be a catalyst for advancements: better aligning public and private sector policies to improve mental health care delivery, expanding brain health research, strengthening academic-public-private partnerships and improving the quality and availability of care in one of our nation’s largest metropolitan areas and the surrounding region. Our Institute has recognized since its founding that a dedicated presence was needed in Houston, so the gift from the Hacketts to establish this Center is essential to realizing our vision for Texas to be the national leader in mental health care delivery. Three in four Texans have a friend or family member who has experienced a mental health issue, and our October 2017 Houston Endowment funded study of child and youth mental health needs in Harris County found over 310,000 children and youth needing care each year. Those numbers are compounded when you consider that approximately 1.6 million students are in school districts impacted by Harvey. We expect to see significantly higher rates of posttraumatic stress disorder, depression and other mental illnesses among children and youth, as well as adults, in the affected regions, with dramatically higher rates among those who experienced the most destruction. The Hackett Center will partner with existing agencies and organizations to more efficiently and effectively build capacity and provide care to heal the emotional wounds left by this storm, including the Institute’s efforts already underway with the Texas Education Agency and its Hurricane Harvey Task Force on School Mental Health Supports. While Harvey recovery will take the initial focus, the Hackett Center is based on the premise that health system transformation requires a continuous focus on local system collaboration and capacity enhancement, sustained by system-level policy reforms. The Center will engage local and state leaders to improve the region’s institutional capacity for mental health policy and program research and offer technical assistance to implement state-of-the-art best practices. The Hackett Center will build on the Institute’s progress at the state and regional level for children, veterans and adults in the criminal justice system, and will continue to emphasize better alignment of state policy and local system transformation to achieve better health outcomes. As a whole, Texas is making important progress in the treatment of mental health and access to care. Two years ago, the Texas House convened a critical interim committee that, for the first time ever, developed a comprehensive analysis of the entire mental health system, zeroing in on solutions to help make it more efficient and, most importantly, more effective. Leaders in both chambers then came together to assure the 2017 legislative session represented a profound step forward in how we treat and care for people who have mental illness. While strides are being made on a statewide basis, we understand that every community has its unique challenges that require specifically tailored solutions. In Harris County and the Gulf region, local leaders, experts and health systems exist to enable bold changes focused on research, data and improved outcomes. The Hackett Center will be a catalyst to make a better Houston for all, and that also means showing it’s okay for anybody to discuss mental health issues with their friends, family and health providers. The Hackett Center will be a lasting presence in Houston focused on putting policy into practice in partnership with the region’s leading health systems. When Texans decide to work on something together, anything can be accomplished. This region is positioned to become a national model for the delivery of mental health services. Both Houston and Texas are blessed to have powerful agents for change in Maureen and Jim Hackett, whose dedication and love for the city, the region and the people who live there has made The Hackett Center possible. Since its public launch in 2014, MMHPI has helped Texas legislators, state officials, members of the judiciary, and local leaders identify systemic mental health needs and solutions, quickly becoming Texas’s most trusted source for data-driven mental health policy. 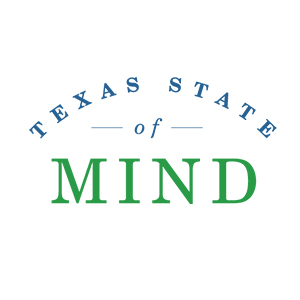 In three short years, the Institute has begun to make significant impact in multiple areas, helping Texas leaders expand the mental health workforce, improve access to care for veterans and their families, shift the focus of new investments toward early intervention, and address the mental health crisis in our jails and emergency rooms.